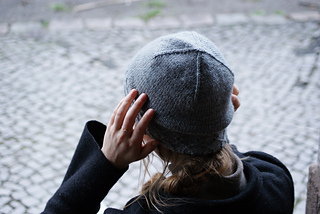 Hyggelig is currently available exclusively through Patreon. 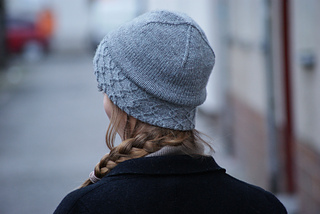 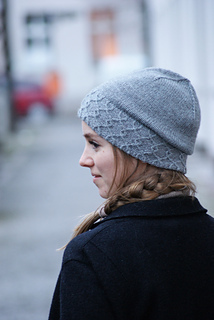 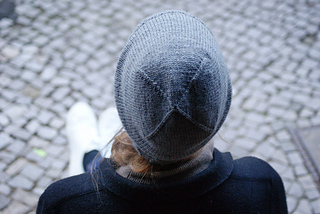 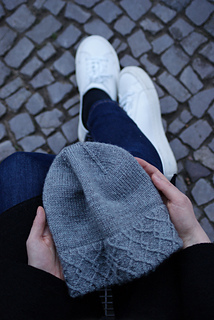 Hyggelig is a versatile, light-weight hat with a geometric cable stitch pattern on the outside of a deep folded brim that keeps your ears extra warm. 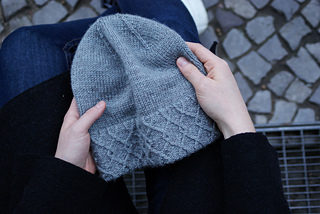 The pattern is designed for a DK-weight yarn, worked on slightly smaller needles than what you‘d typically pick, resulting in a dense, cosy fabric. 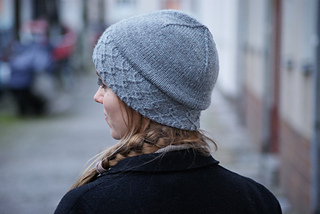 Hyggelig includes two sizes, but with its 6-stitch pattern repeat, it could easily be customised to be used with a different weight yarn. 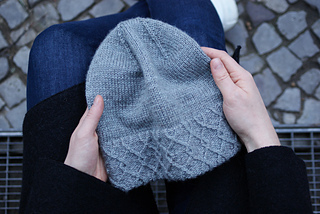 Choose a solid or tonal colourway to show off those cables – and if you‘re looking for a matching pullover, what about our Hygge from Laine Magazine‘s Issue 3?